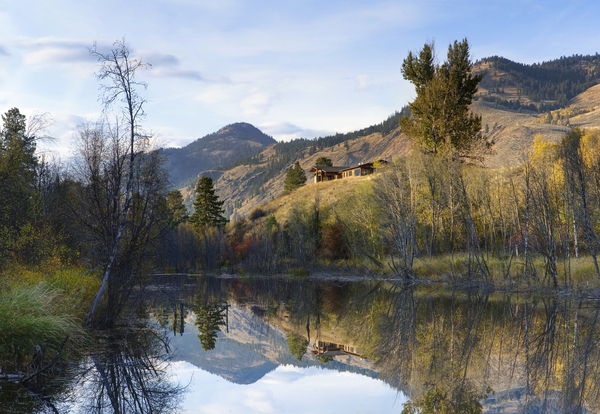 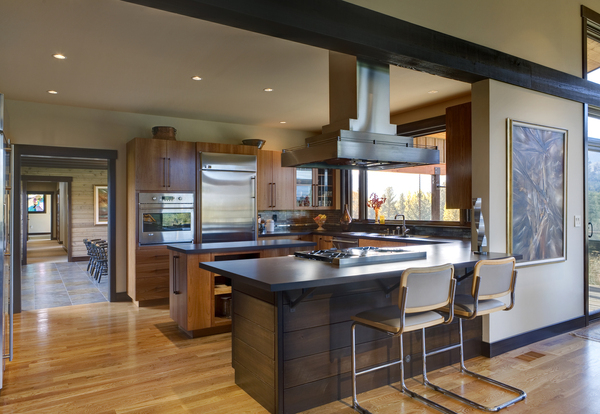 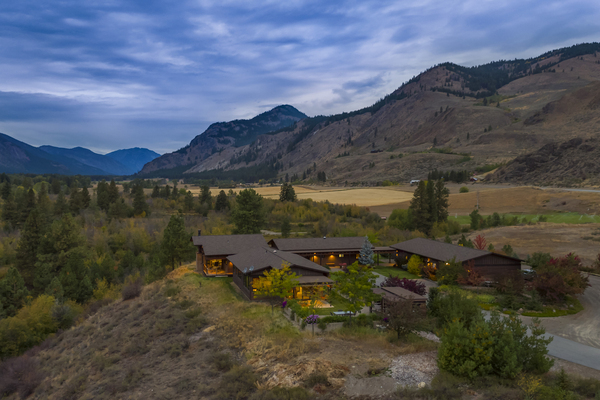 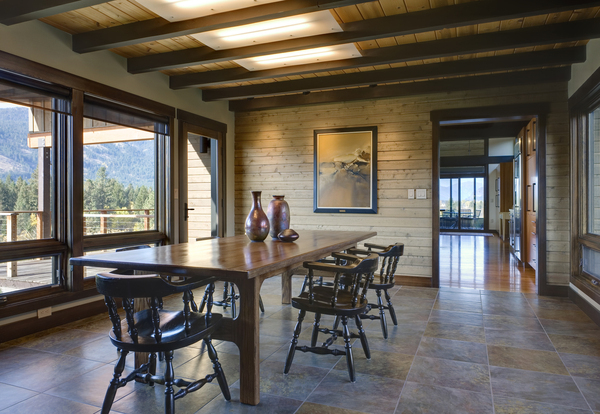 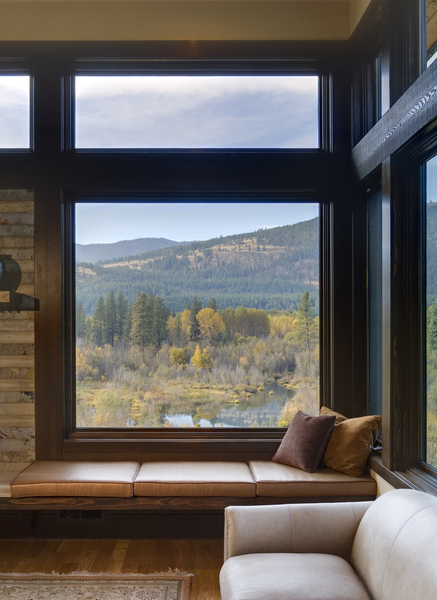 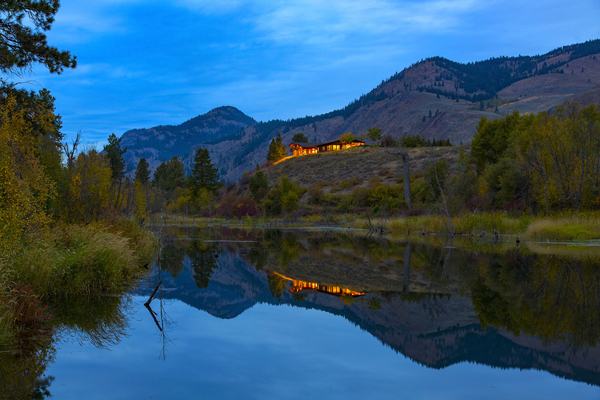 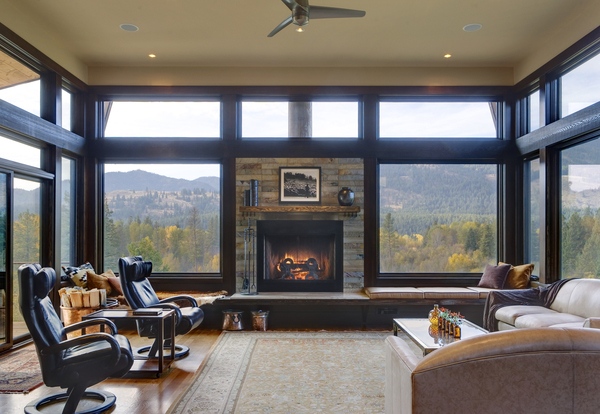 Big Valley Ranch was designed for a retired couple in the Methow Valley. 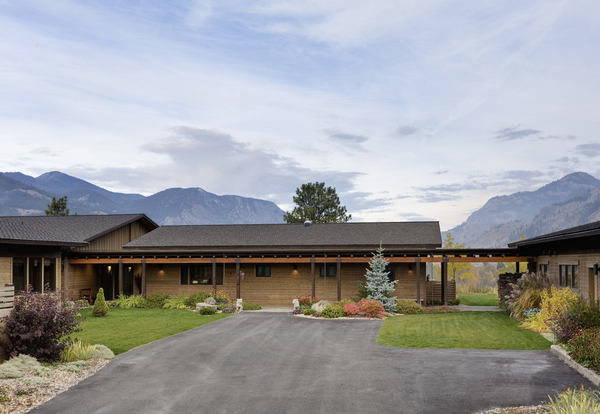 The clients desired a home that would accommodate them as they age as well as take advantage of the surrounding views. 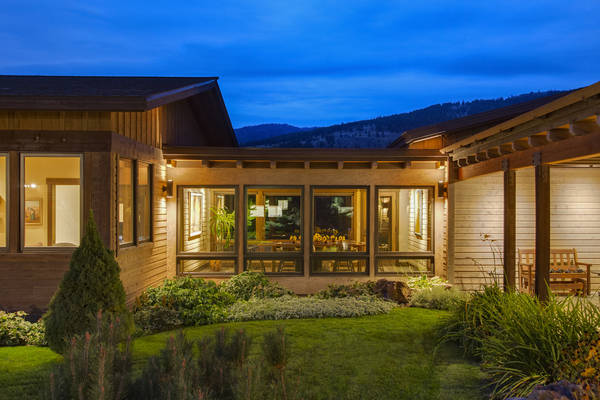 The house surrounds an entry courtyard, using the garage to create privacy from the highway. 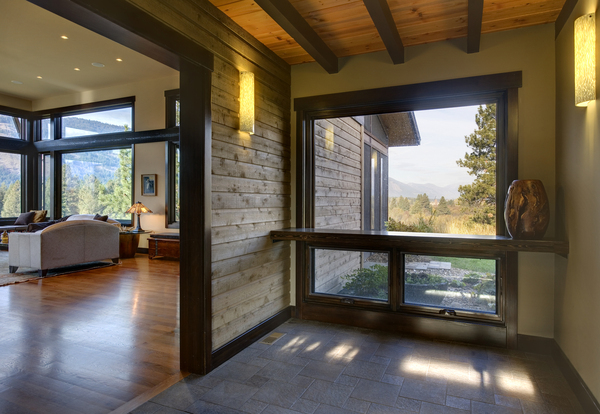 The one-story design allows for ease of accessibility to all areas of the house and provides for views in three directions, with the primary view being from the living room to the ponds below.